Customers can now try all the apps which are available on App Store before installing them on their Apple devices. The development was updated on Apple’s guidelines page on June 4. Giving up to the demands of iOS app developers, Apple has brought free trials to all apps available on the App Store. Earlier, only subscription-based apps had a “Try Before You Buy” option. The development is now being reflected in Apple’s guideline that had been updated on June 4. “Non-subscription apps may offer a free time-based trial period before presenting a full unlock option by setting up a Non-Consumable IAP item at Price Tier 0 that follows the naming convention: “14-day Trial,” Apple said on the guideline review page. 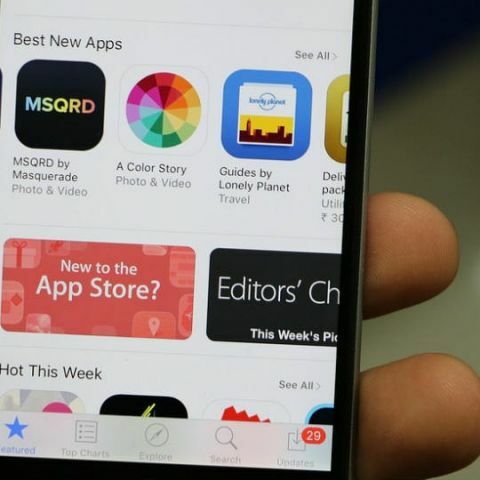 Last month, a group of iOS developers formed The Developers Union that challenged Apple's App Store policies. In an open letter to Apple, the group requested, among other things, that the company allows free trials for all apps by the App Store's 10th anniversary in July. "Free trials are a great place to start and gather the momentum needed to create significant change. Trials allow developers to show users their creation and establish value. Before iOS, Mac developers relied heavily on free trials, and they were able to make a living while making great software," the union had written in the letter. The App developers also called on Apple to give "reasonable revenue cut.” Apple currently receives a 30 per cent cut of what revenue developers earn from the App Store. The group had also said that after Apple allows the free trial of all the app, “we'll start advocating for a more reasonable revenue cut and other community-driven, developer-friendly changes," it said. Apple kicked off its World Wide Developers Conference 2018 (WWDC) event with company CEO, Tim Cook sharing some interesting insights like how there are more than 20 million Apple developers, who will have earned $100 billion Dollars this week since the App Store's inception. In January, Apple announced that it culminated $300 million in app purchases made on New Year’s Day 2018. During the week starting on Christmas Eve, a record number of customers made purchases or downloaded apps from the App Store, spending over $890 million in that seven-day period. Phil Schiller, Apple’s Senior Vice President of Worldwide Marketing said in 2017 alone, iOS developers earned $26.5 billion — more than a 30 percent increase over 2016. Where to get non-market apps for Android phones?